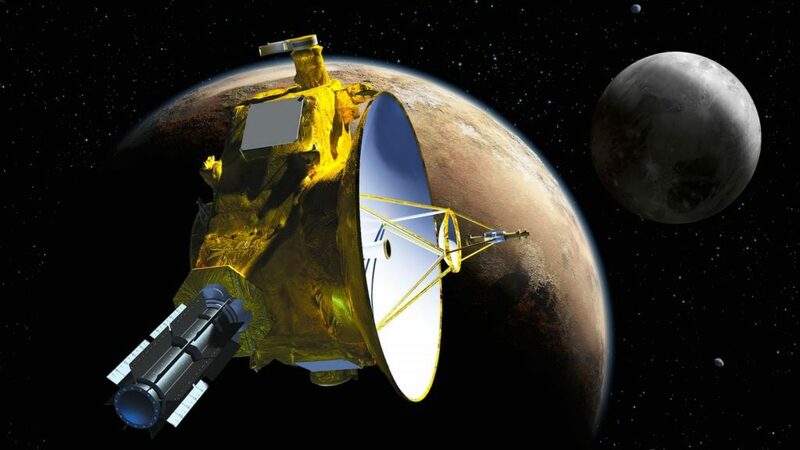 Dr. Larry Marschall, professor of physics, emeritus, at Gettysburg College, will present “Exploring Beyond Pluto” on Thursday, February 21 at 7 p.m. in the Visitors Center at Renfrew Park in Waynesboro. The program is free and open to the public. On New Years Day 2019, the New Horizons spacecraft accomplished a planned rendezvous with 2014 MU69 (also called Ultima Thule), the most distant object in our solar system ever visited by a spacecraft. In this presentation, Marschall will show some of the first glimpses of this previously unexplored region of space. A professor of astronomy and physics for many years, Marschall was a visiting research scientist at the Harvard-Smithsonian Center for Astrophysics, the University of Canterbury in New Zealand, and at Yale University Observatory. He wrote The Supernova Story, published by Princeton University Press. Marschall has a bachelor’s degree in engineering physics from Cornell University and a Ph.D in astronomy and astrophysics from University of Chicago. A question-and-answer session will follow Marschall’s presentation. For more information, call 717-762-0373 or email to info@renfrewinstitute.org. Image credit: NASA, posted on SpaceFlight Insider. See our 2019 Adult-Teen Education flier for more great programs and events!